Every year, Co-op relies on the generosity of alumni and friends to sustain the school and ensure we can continue to serve area families. 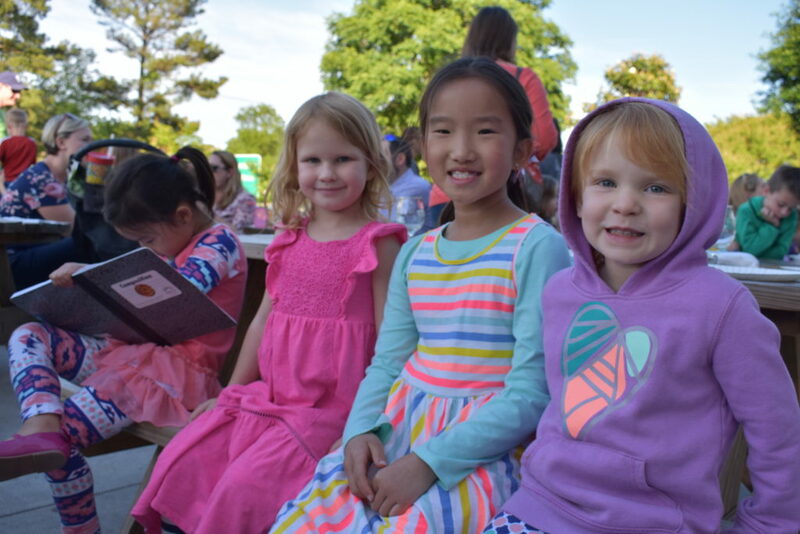 Private giving helps us keep tuition low, purchase supplies and materials for our classrooms, provide professional development opportunities for our teachers, and offer scholarships to students who might not otherwise be able to afford the Co-op experience. Gifts to Co-op can be made online using the button at right or sent by check to: WPCP, 1333 Jamestown Road, Williamsburg, VA 23185. Parents can include a gift to the scholarship fund with their monthly tuition payment. If you are interested in making another type of gift, please contact us at williamsburgpreschool.contact@gmail.com. Each spring, Co-op participates in Give Local 757, Hampton Roads' annual day of giving for local non-profits. Thanks to the generous support of families, alumni, and friends, Co-op raised more than $11,000 in just 24 hours during the 2018 event. 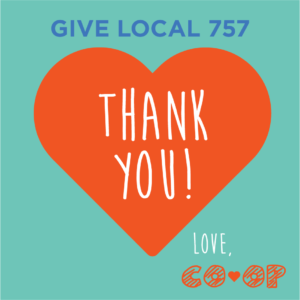 Give Local 757 returns on May 15, 2019, so stay tuned for ways you can get involved and support Co-op!